Ogre Jenni here - yes "Ogre" is my awesome job title. Nice to meet you! Jean Cocteau Cinema, our lovely little cinema in Santa Fe, proudly welcomes comedian and magician Joel Ward to our stage on Friday, September 11th and Saturday, September 12th. You can find out specific showtimes and purchase tickets here! Joel was a World Champion Teen Magician by age 15, and he placed 1st at the International Brotherhood of Magicians annual competition, which is the World’s Largest Magic Organization. He performs hundreds of shows per year, and he has been featured on the Bonnie Hunt Show, The Masters of Illusion, and for the Barnum & Bailey Circus show, Boom A Ring. He has also made appearances on The Tonight Show with Jay Leno and on Comedy Central's Tosh.0. In other words, he's kind of a big deal. Watch the highlight reel below for a taste of what Joel Ward will bring to the Cocteau! See you there! 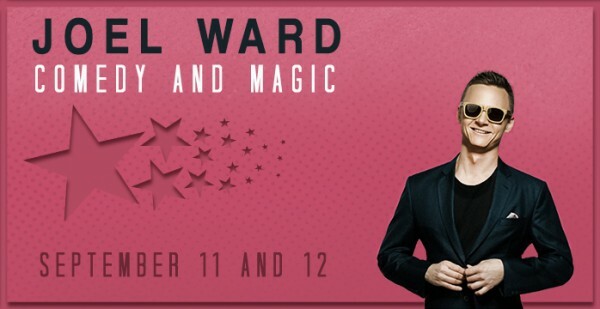 * No regular magical doves or sequined assistants will be harmed during Joel Ward's performances. Now I worry for the safety of nonregular magical doves, nonmagical doves and nonsequined assistents participating in what looks like some awesome performances.